Multiple factors impact honey bee health; these include bee pests and pathogens, forage and nutrition, genetics, bee management practices and pesticide exposure. The Honey Bee Health Coalition (‘Coalition,’ www.honeybeehealthcoalition.org) is a diverse group of stakeholders that is working toward solutions across all of these factors. Within crop pest management, the Coalition is promoting best management practices for controlling crop pests and safeguarding pollinator health. The Coalition is also promoting incident reporting to give all stakeholders access to better information and data to diagnose problems and prevent or mitigate future losses. This article explains the importance of incident reporting as well as methods for reporting. Information is the key element obtained from incident reporting. Incident reporting is not about compensatory damages, nor is it about placing blame; it is about determining the best methods to protect our honey bees while we also protect crops from pests, thus promoting strong agricultural crop yields in honey crops, as well as plant crops. The information provided as a result of bee loss incidents is invaluable to the EPA, states, manufacturers, pesticide applicators, growers, and beekeepers as we all work together to protect honey bees and better understand what is harming them. Accurate information on bee loss incidents is key to understanding the real-world experience of our pollinators and to inform best practices for pesticide use and application as well as federal and state regulations and labels intended to protect honey bees. A working group of Coalition members recently conducted a review of how honey bee losses are reported. The Coalition concluded that many beekeepers do not know HOW to report bee losses. The purpose of this article is to acquaint beekeepers with the process of incident reporting, including how to report an incident to the State, the EPA, and pesticide manufacturers, and how to obtain help from non-governmental organizations. It also describes how beekeepers can collect their own evidence for analysis. It is a bright and sunny day, a light wind is blowing: it has been a beautiful week for your bees to be foraging or pollinating. As you walk into your beeyard something is amiss. A small number of bees are flying, but in front of the hive is a carpet of dead and/or dying bees. As you get closer to the hive you realize there are hundreds of dead and dying bees, struggling to move, stumbling across the carcasses of the other members of the colony. Your heart sinks. You pull out your phone, switch on the camera and start videotaping the bees, their behavior, and the carpet of dead and quickly degrading carcasses. You reach your hive to crack it open, and find the adult foraging force is dead, dying, or simply gone. Younger bees are cleaning house, pulling out dead brood. 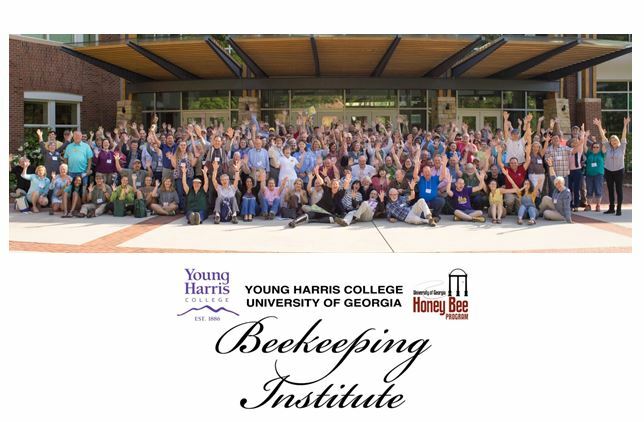 It is a dramatic and stressful scenario, but a story often heard in the beekeeping community. What do you do now? The answer is: take photos and video, and report through one or more of the following options for collecting, analyzing, and submitting bee loss information. 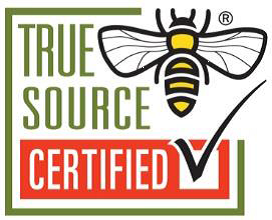 Remember – it is important to share this valuable information of how our bees experience the real-world across agricultural stakeholders, and this often requires filing a report with more than one party. Refer to the Quick Guide to Reporting a Bee Loss Incident for more details on how to report an incident and additional informational links and contacts. Beekeepers should be prepared to collect their own evidence, particularly if the state inspector cannot get to the site in less than 24 hours. It may be too late to obtain a kit or gather the materials needed after the problem has been observed. The state lead pesticide agency inspector may not be able to collect it in a timely manner, and may not have the funds to do the lab testing. Additionally, collecting data creates more than anecdotal evidence and could help determine where to look to find the source of the problem. At a minimum, the beekeeper should prepare a written and visual (photographic or video) record that describes and shows the beekeeper’s observations, and the circumstances surrounding the loss. This should include the weather conditions, what bees may have been foraging on at the time of the loss (e.g., blooming crops/weeds in close proximity to affected colonies), approximate number and location of dead bees, and whether adults and/or brood were affected. The absence of foraging bees should be noted, and if nurse bees are present in the hive. Also, if dead and dying bees are present, the beekeeper should attempt to characterize any unusual behavior of surviving bees (e.g., lethargy, intense grooming activity, loss of coordination). There is a how-to guide for collecting evidence of bee losses on the Pollinator Stewardship Council website http://pollinatorstewardship.org/?page_id=1342, as well as a list of labs to which you can send your evidence. Guidance may also be found at http://www.epa.gov/compliance/resources/policies/monitoring/fifra/bee-inspection-guide.pdf. Check the prices of labs as none of the tests for suspected pesticide-related bee kills are free, and can cost between $300-$800. An academic research lab may accept your samples as part of a research project (at a reduced rate for testing costs), or similar opportunity. Keep in mind dead bees degrade quickly, and once degraded may not serve as reliable evidence for measuring pesticide residues. If you are unsure of what killed your bees or want a complete pesticide screen on pollen, wax, larvae, pupae or adult bees, the Bee Informed Partnership offers an Emergency Response kit (http://beeinformed.org/programs/emergency-response-kits-2/) that includes a pesticide screen conducted by USDA Agricultural Marketing Service. Pollen samples and wax samples are the better hive products to determine levels of contaminants as residues may be more stable (less vulnerable to degradation). The caveat in collecting your own evidence is that investigators and pesticide manufacturers may not be able to utilize the samples/pesticide residue data you collect because of their requirements regarding who “handles” (collects and analyzes the data) and the chain of custody through which the samples are passed. While beekeepers may be anxious to collect bee, pollen, and comb samples for analysis, qualitative information regarding the circumstances surrounding the loss can be equally if not more important, particularly if inspectors do not arrive quickly, and the conditions surrounding the loss become less apparent. Reporting to the State: The most critical contact is with the state lead pesticide agency (SLA) so that an investigation can be initiated in a timely way. Beekeepers should maintain ready access to the current list of SLA contacts. Contact information on SLAs can be obtained from the Association of American Pesticide Control Officials at http://aapco.org/officials.html. Contact your SLCA immediately, and explain the situation without making inferences as to the circumstances surrounding the loss; that should be left to the investigators. In states with apiary programs, the state pesticide agency will normally notify the state apiarist. Determine when an inspector can come to your site to investigate the incident. The state pesticide inspector will be looking for evidence of pesticide misuse and the inspection will consider multiple factors including pesticide products used in the hive. Under their cooperative agreement with EPA to enforce the Federal Insecticide, Fungicide, and Rodenticide Act (FIFRA), states will file a report with EPA at the conclusion of the investigation. Note that the purpose of the state pesticide investigation is to determine whether pesticide misuse occurred, not to determine the cause of the bee kill. Reporting to EPA: The information provided as a result of bee loss incidents is invaluable to the EPA. There are two ways to file a report with the EPA: sending an email to beekill@epa.gov or using the National Pesticide Information Center (NPIC) web portal for Ecological Pesticide Incident Reporting http://pi.ace.orst.edu/erep/. You can report to EPA whether or not you choose to report to your SLA and initiate an investigation by the state. The NPIC web portal leads you through questions, including the state and county of the incident, and what you observed. Even if you do not have answers to all of the questions on this web portal, submit the information you do know. You can upload photos to the site as well. You can submit the report anonymously, or provide your contact information. Contact information provided through the NPIC portal is not shared with EPA, and therefore EPA cannot follow up with you if you report through NPIC. For those under the stress of having just lost one or a dozen colonies, you could simply email beekill@epa.gov with your contact information and EPA will follow-up with you for additional facts about the incident; this can provide greater clarity of what happened to your bees, provided that you are comfortable with contributing additional detail. The extent to which detailed information is available on an incident will dictate the extent to which it can be used as a line of evidence in determining the cause of the loss. Reporting to a pesticide manufacturer: In cases where there is confidence regarding the specific pesticide involved, contact the manufacturer by calling either the emergency or non-emergency phone number on the product label (if available). Additional information such as contact information for the farm that applied the product, bee yard location, symptoms observed and duration of the effect, product type (seed treatment, foliar application), crop, and weather conditions may be gathered during the initial call. The manufacturer will most likely ask if the state pesticide lead agency or EPA has been contacted about the incident. The manufacturer will most likely ask about a follow-up visit with the caller either as an on-site visit or via phone. Receiving assistance: Do you need help navigating all of the reporting options or assistance in filing a report? The Pollinator Stewardship Council can assist the beekeeper in filing reports to EPA so you can get back to the business of beekeeping. You can also contact the Bee Informed Partnership (BIP) Program to request an Emergency Response Kit (http://beeinformed.org/programs/emergency-response-kits-2/), or, if applicable, contact your BIP Tech Transfer Team (http://beeinformed.org/team-2/tech-transfer-teams/) for a kit. Incident reporting allows all stakeholders to learn from and prevent or mitigate bee losses, and provides the data needed to help build solutions for Healthy Bees, Healthy People, and a Healthy Planet. 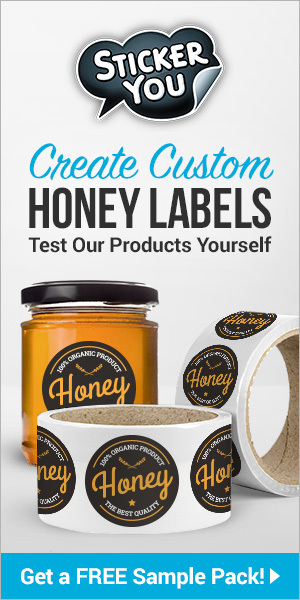 The Honey Bee Health Coalition appreciates support from Bee Culture magazine in sharing this information with its readers. One thousand laminated copies of the Honey Bee Health Coalition Quick Guide to Reporting a Bee Kill Incident are available through Bee Culture magazine; order yours online today at www.pollinatorstewardship.org or download an electronic copy at www.honeybeehealthcoalition.org.